When it comes to recipes, I love ingredients that come together to form a great base. I want to be able to add as I see fit and be encouraged to play a bit with the recipe. There are of course exceptions but in my day to day routine, I’m more up for throwing something similar to the recipe together rather than follow something completely. This recipe is one of those great recipes to build. The caramelized cauliflower is the main flavor that’s paired with a smoky roasted pepper and light lime vinaigrette. It’s the perfect lunch for at home or make up a big batch and eat this cauliflower salad a few days at work. See below for a few of my favorite variations or if you try a combination and have your own- I’d love to know! An easy and flavorful cauliflower salad that comes features a tangy lime dressing paired with caramelized cauliflower and roasted red peppers. Preheat oven to 425˚ F. Cut cauliflower into bite-size florets. Toss with 1 tablespoon olive oil and salt. Place on a baking tray along with whole red peppers. Roast, turning/stirring occasionally, until cauliflower is caramelized and peppers charred: 25-35 minutes. Remove from oven and let cool slightly.Remove the skin from the roasted red pepper and dice. 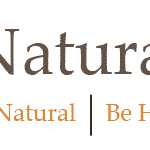 Rinse quinoa and combine with 1 cup water in a medium pot. Bring to a boil, reduce to a simmer, and cook for until water is almost fully absorbed, about 12-15 minutes. Remove from heat, cover and let sit until remaining water is absorbed, about 5 minutes. 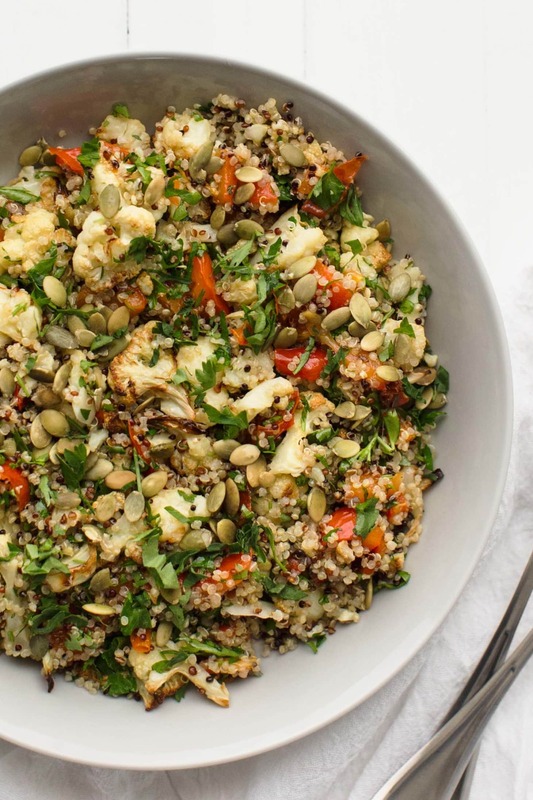 Combine quinoa, cauliflower, and roasted red pepper in a bowl. Add cilantro and parsley to quinoa mixture. To make dressing, combine olive oil, lime juice, and honey in a jar with liquid. Shake until combined. Pour on salad and toss until combined. Taste and add more salt as desired. Add in the pepitas right before serving. Tips & Tricks: Often during the winter I will use jarred red peppers instead of fresh peppers. To make vegan, omit the honey or use your favorite substitute. As mentioned in the introduction, this cauliflower salad makes for a really nice base to add in any extras you might like. 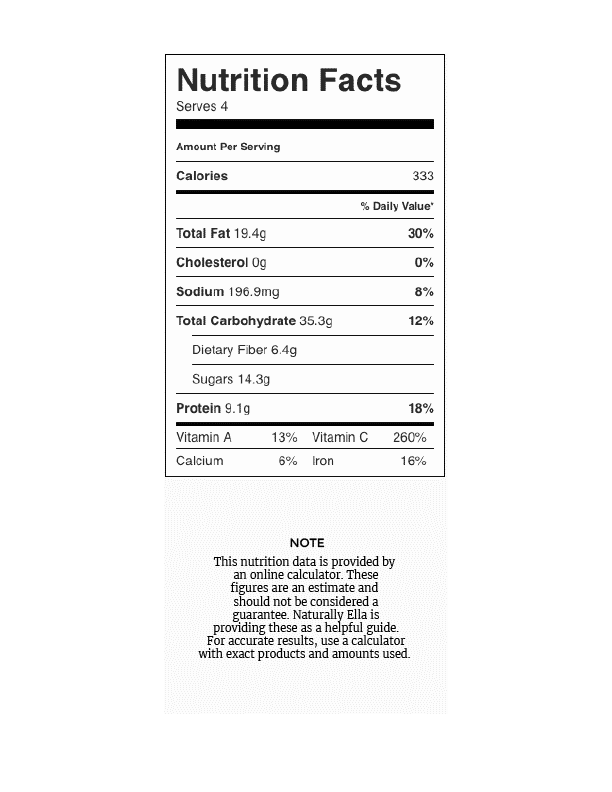 You could even change the flavor profile of the salad by leaving out the cilantro completely and using lemon in the dressing instead of lime. Legumes: As a couple commenters have done, chickpeas make a really great add to this salad. I recommend toasted the chickpeas to add a slight crunch to dish. Cheese: Goat cheese and feta can be added, depending on the type of cheese you like. If you switch to a lemon/parsley flavor, I highly recommend tossing in a bit of feta. Grains: I find myself using quite a bit of quinoa primarily because it cooks up quickly. However, any precooked grain would work here including millet, einkorn, or sorghum. Roasting cauliflower is my favorite way to prepare this hearty vegetable. I recommend roasting cauliflower to use in these recipes as well. || Recipe originally published on May 23rd, 2013. Last updated on January 2nd, 2016. For me too, put me down as piggy! This looks amazing! I’m always looking for good cauliflower recipes! Ooh, I love new-to-me vegetable combinations. Roasted cauliflower *is* delicious, and I have cilantro growing in my garden, so this is going on the to-make list! Ok I am 100% making this! Caramelized cauliflower – oh my! how cool about pinterest! I will have to read more about it! I noticed the change to some pins over the weekend and was so curious! This really does make it so much more useful to track your recipes on Pinterest, Erin – great news! I’m loving the lighting in these pictures – gorgeous! Gorgeous! I love roasting cauliflower as well. It’s good in just about everything! And the cilantro dressing sounds like the perfect compliment! You’ve never posted a recipe I didn’t immediately want to eat!! I was already planning on a cauliflower salad situation for dinner tonight, and you’ve just kicked it up a notch! Can’t wait to make this. This is so cool! Thanks for sharing, Erin. Also, this salad sounds incredible. 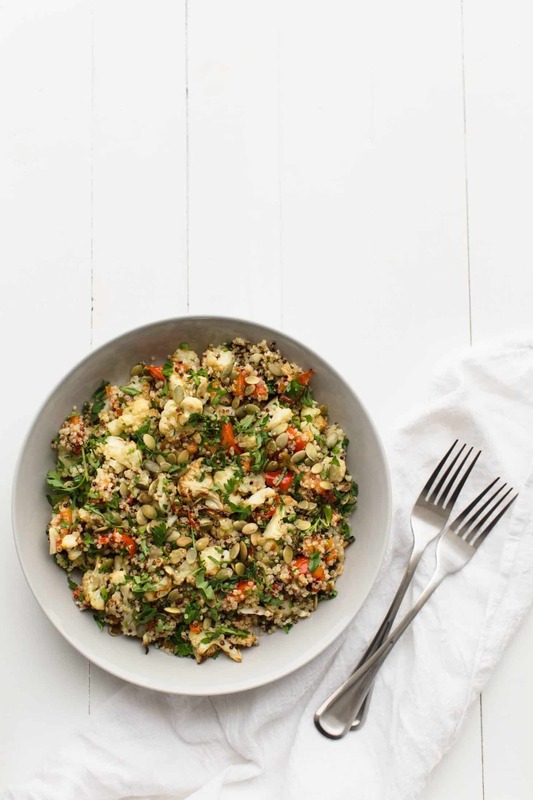 Did you use sprouted quinoa in the salad pictured? made this a few days ago, added some caramelized carrots with ginger and the suggested goat cheese… it was amazing!!! Yum- love the addition of the carrots and ginger! What a great idea!I substituted ww cucous for the quinio and added some brussel sprouts, olives, pepita leeks, and some blue cheese, so yummy! I made this– so lovely. Unfortunately I used a (crappy) shortcut of using bottled lime juice and it got toooo sweet. Live and learn. This was very tasty and easy to make. I added some goat cheese and pumpkin seeds as suggested. Also delicious the next day. Thank you for the recipe! I made this tonight – so delicious! This is quickly becoming one of my favorite food blogs. Thanks for everything! Made this tonight – delicious! Love the dressing! I added in chickpeas and feta. This looks so beautiful and vibrant! Just what I’m craving after the festive season! I’ve added some pine nuts. it was yummy :)! thanks for sharing it! This looks incredible. I love anything with cauliflower and am always looking for new recipes, but haven’t seen anything like this. Thanks. Will definitely be trying this. Love your photos too. I made this today. I usually try to make recipes more Italian so I substituted farro for quinoa, pistachios for pepitas, lemon juice for lime juice, balsamic vinegar for honey, and omitted the cilantro. It was very good. Thank you. Hey I tried to make this recipe again tonight and it’s not showing up for me anymore! Should be back- sorry about that! 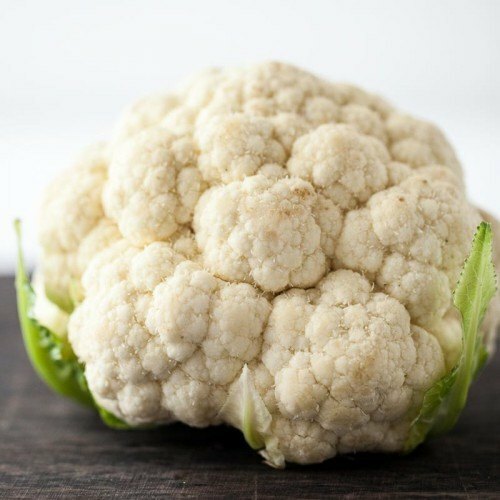 I am just getting into cauliflower ( I know I am behind the 8 ball) and this recipe looks delicious. Adding it to my list for sure!